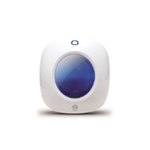 The SmartInstall Elderly & Vulnerable Care Alarm system sends an instant SMS and/or telephone alert on a single press of the easy to use and compact SOS Panic Button. One-touch SOS or Panic alerts at the touch of a button. 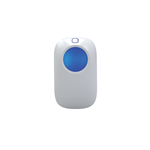 One press of the Wireless SOS panic button will alert up to 5 pre-defined telephone numbers via text and initiate an emergency call 24 hours a day, providing peace of mind for the user and family alike. The button transmits its signal for up to 80m in an open area. The main control panel is discrete and stylish, it has an in-built SOS button and allows an authorised user to ‘listen in’. The Battery Powered SOS Panic button is constructed of ABS plastic, which has a strong resistance to corrosion and physical impact. It features an easy to use compact design, one touch activation and a loop for attaching to a key-ring. The SmartInstall Care Alarm System is totally wireless apart from the main control panel which requires a standard plug socket to power. In the event of power outage, the control panel has backup lithium batteries. 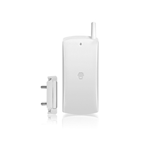 It uses a dedicated Vodafone sim card for 24/7 connectivity throughout the duration of your monthly service plan with no need for your home broadband or telephone line. You can receive unlimited activation alerts* to up to 5 designated telephone numbers per system. To enhance the Smart Care System you can connect up to 50 accessories to one control panel with no additional monthly costs. Optional A single press of the user friendly button will trigger an SOS signal to the alarm and alert system users. (£19.95 Non VAT Free Qualifying) Fully Installed when purchased with Base System. Fully Installed when purchased with with Base System. 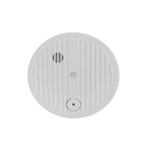 Optional Photoelectric Smoke Detector that behaves like a traditional unit, but as well as emitting a 'beep', also sends an alert to the control panel in the event of detection which then alerts system users - even if the alarm is set to 'off'. Fully Installed when purchased with Base System. Optional Used where a great operating range is needed, and in buildings where the signal may be weak due to metal structures, thick walls, etc. Optional Detector probes detect water/liquid and send a message to the control panel to alert system users - ideal for kitchens, basements, utility rooms and where any water cylinders are kept. Accessories are available to purchase at the time of ordering or on the day of install via your engineer. If you wish to add an accessory after your installation, contact us for details. Accessory design and colour may vary, images for illustration purposes only. For an additional £65 including VAT, upgrade the Care System to the full SmartInstall Home Alarm System – call us on 0121 634 8080 to discuss your requirements. It does not include a frail elderly person who is otherwise able-bodied or any person who is only temporarily disabled or incapacitated, such as with a broken limb. The conditions for relief are contained in VAT notice 701/7 : VAT Reliefs for disabled people. In order to qualify for this benefit, you will need to complete and return a simple declaration which can be downloaded here: SmartInstall VAT relief eligibility form. If possible the person making the claim should complete this form but a family member, carer or medical professional may complete the form on the claimant’s behalf. VAT Exemption only applies to Care / Alert system. Additional accessories may not benefit in the same way. Prices include full professional installation. No minimum contract – monthly services can be cancelled at any time. The installation of the System into your Premises does not constitute the provision of insurance to you. **Included Engineer Visits subject to terms and conditions, exclusions apply. Our dedicated team will go through a thorough review of your requirements. When you are happy, the order is placed and an install date is agreed. If you need additional items on the day of the install, our professional installers will carry a stock of accessories for you to purchase if required. If you are benefiting from the VAT exemption you need to complete and return the eligibility form.